Gov. 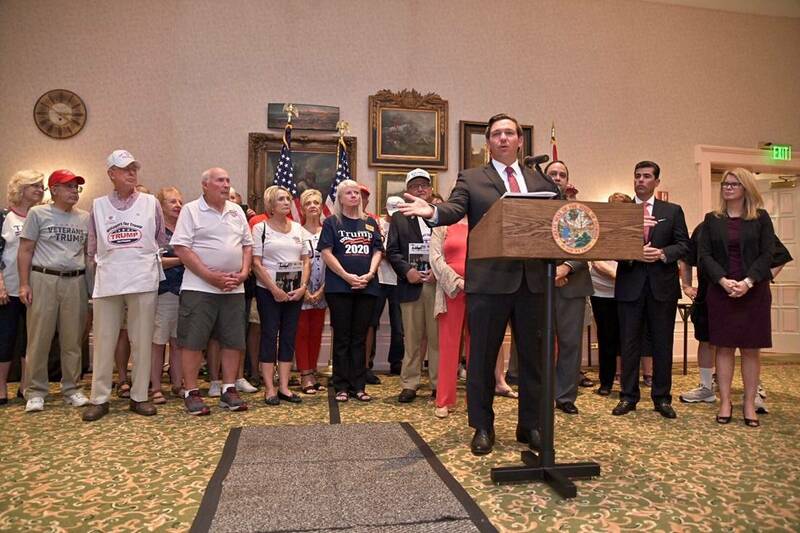 Ron DeSantis traveled to The Villages on Wednesday to announce his commitment to create a prescription drug importation program for Florida. The program will offer access to FDA-approved prescription drugs that have been imported from Canada, allowing the drugs to be sold to Floridians at a much lower cost. The governor was joined at the announcement by House Speaker Jose Oliva, Rep. Ray Rodrigues and Agency for Health Care Administration Secretary Mary Mayhew. In 2003 Congress passed the Medicare Modernization Act to allow U.S. wholesalers and pharmacists to import prescription drugs from Canada, but only if the federal Department of Health and Human services authorizes it, which it has refused to do. The governor believes that 16 years since the passage of that law is long enough. DeSantis said he will work in conjunction with the Trump Administration and the Florida Legislature to create the program as quickly as possible while taking the necessary steps to ensure the appropriate regulatory protections are in place. Imported drugs are an 'iffy' thing. There is no control on these products being genuine, being within expiry date, and no real knowledge of where they were made. They are cheap for a reason. Want to save Medicaid funds. Want to save Medicaid funds. Quit punishing chronic pain patients and allow a 3 month prescription same as non-narcotic drugs. That'll save the monthly requirements for visits every. Therrby costing less money. WOW! That is good news, on a side note Florida Senator Wants To Let Voters Decide On Marijuana Legalization https://www.marijuanamoment.net/florida-senator-wants-to-let-voters-decide-on-marijuana-legalization/ Published 2 hours ago on February 22, 2019 By Evan Johnson A joint resolution introduced in the Florida Senate on Thursday would add a new section to the Florida Constitution to establish the right “to possess, use and cultivate cannabis.” “This right may not be infringed, except that the transfer of cannabis by purchase or sale may be regulated by law as necessary to ensure public health and safety,” reads the measure, which would apply to adults over 21 years of age. If approved by lawmakers, the question would go before voters in the 2020 general election.